The Hockey Writers sat down with Hershey Bears forward Joel Rechlicz this weekend, and talking a plethora of topics, including re-signing with Hershey, hopes of reaching the NHL and fighting in hockey. 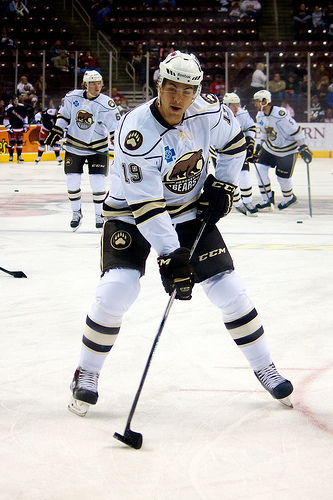 Rechlicz has one assist for Hershey in minimal action this season. The Hockey Writers: What lead to the decision on signing with Hershey this offseason? THW: On his hopes on reaching the NHL again. THW: On the importance for the Bears to build a winning streak.